Continue this repetition scheme, adding one Power Clean at the completion of each round. Note: Your score for todays workout is the total number of Power Cleans completed at the end of the AMRAP, multiplied by the amount of weight lifted. The weight x repetition matrix encourages both strength, endurance and gymnastics stamina. Congratulations to Greg Amundson who recently completed the grueling Krav Maga Expert 2 Course at Krav Maga Worldwide in Santa Monica, CA. 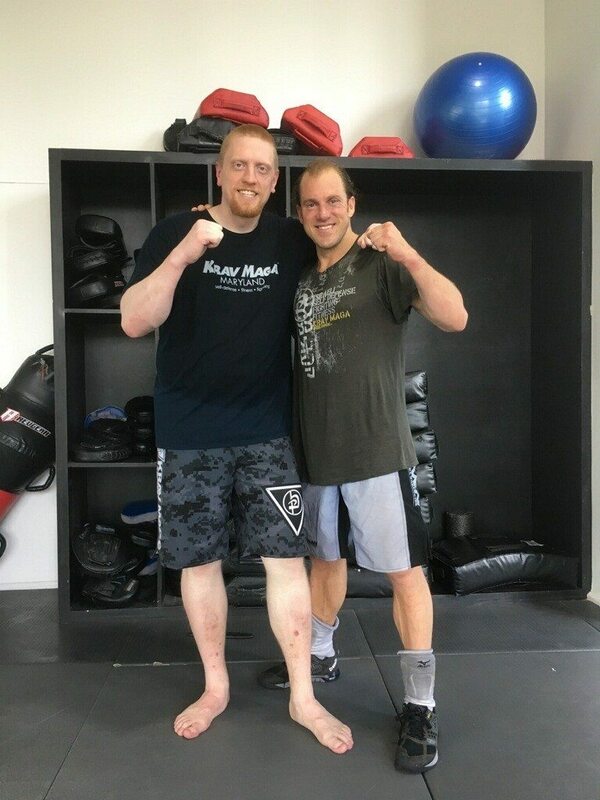 Greg’s training partner Jeff Mount, in the photograph above, is a Level 5 Expert and the owner of Krav Maga Maryland. Stay posted for upcoming Krav Maga Seminars on Stick Defense, Gun Defense and Knife Defense this summer.